People today do not agree anymore what racism is.But I think we can use the word Racism .I can't remember anywhere in the Torah where they talk about skincolor. Maybe there is something in the Talmud about racism? Thus, Man was created alone initially in order to teach respect for humanity, for man cannot say "my father is greater than your father"
The Torah does not accept the belief that one race is greater due to their lineage and DNA is more superior to another group. However, the Torah does recognize the differences between races, in that those differences have been encouraged and cultivated throughout the generations to the extent that those traits are programmed into the makeup of the person. The Torah differentiates groups based on the character and morals of the people, and that if those traits are negative, then the people are to be viewe negativly. However, these attributes are not "inherent" in the person, and through character development ie. working on oneself to be more G-dly and holy, the person can break out from the bad traits they were raised. That is not called racism, because race in the eyes of G-d and His Torah is inconsequential, we don't hate them because of their lineage or make-up, rather it is the innate traits and mores of that particular group. We Jews believe that one can rise above their externally influenced traits. Whether through the acceptance of the Sheva Mitzvos Bnei Noach - The Seven Noahide Laws, or through full-fledged conversion to Judaism. The Torah believes in problems with certain cultures, which cause problems for people raised in those cultures, but have nothing to do with racial heredity. 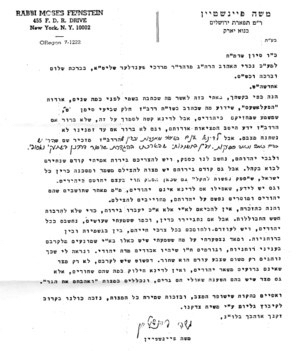 As you mentioned, they should not be brought to the Land of Israel* unless they have underdone a conversion**, in order to not increase the concern for assimilation [i.e., intermarriage with Jews who do not have a doubt regarding their Jewish status and also a weakening of the faith of Ethiopian Jews themselves]. But if they have legally converted, and as I have heard they are doing, we shall consider them like all Jews, and one must assist them and support them for all needs of livelihood, both physically and spiritually. And I suffered great anguish because I have heard there are those in Israel who are not drawing them close in spiritual matters and are causing, G-d forbid, that they might be lost from Judaism. And it seems to me these people are behaving so only because the color of the Falashas' skin is black. It is obvious that one must draw them close, not only because they are no worse than the rest of the Jews – and because there is no distinction in practical application of the law because they are black – but also because one can say perhaps they are gerim [converts], and are therefore included in the mitzva "and you shall love the convert." Not the answer you're looking for? Browse other questions tagged torah-study . Is it wrong to be racist? Does anyone know any information about Mifal Hashas? Does determining the proper action in scenario X count towards Talmud Torah? Is there a daily / weekly reading?